Start Reaping The Benefits Today! Hi, my name is Randy Hamilton and I am the owner of Impact Martial Arts. When I was a young man, I began my martial arts journey and the positive impact it had on my life was remarkable. It was always my dream to someday own my own school, and when I opened Impact Martial Arts in 2003, I made a commitment to our community in Edmonton and Sherwood Park to create an enjoyable environment for students to improve their fitness, while building confidence they can carry into their everyday lives. Our children's martial arts program creates leaders. We do this by teaching the same values you teach at home. Our adult program is second to none. 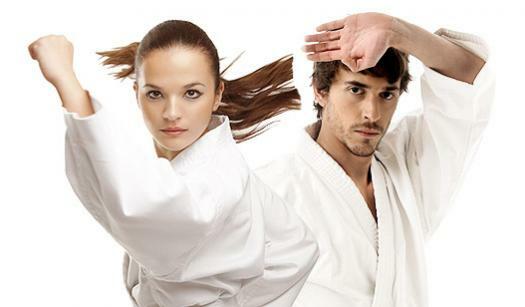 From traditional martial arts to more modern self-defense styles, there is something for everyone at Impact Martial Arts. If you are looking to burn major calories, learn self-defense moves and get in the best shape of your life, you must come and check out our program. Impact Tigers is an exclusive platform for martial arts that kids truly love. Lifeskills provide a relational point students can identify, symbolizing values that are a foundation of the Martial Arts. Take the first step to giving this extraordinary gift to your child today! I enrolled my six-year-old son in the Sherwood Park location about three months ago. It was so positive and the changes in him were instant. Mr. Estigoy is absolutely wonderful with the kids. What I didn't expect was that a few days after my son started, I signed myself up! I do not have any experience and I never had any interest in fitness or martial arts. Mr. Estigoy makes it so much fun that you just want to invite everyone you know! Now I'm at the school every day in class too! I also see Jacqueline throughout the week for my personal fitness goals. Jacqueline is great, she determined my strengths and weaknesses and works with me to build strength and stability where I need it. I highly recommend WTTU for you and your kids! It has totally changed my son and I in the most positive way!! We have been with Master Hamilton since 2013 and are still going strong. Our whole family attends different classes in the school. We are very happy with Impact Martial Arts and the difference it has made in our lives. Great set up with equipment to suit all levels of fitness, and instructors that care about the students progress! Excellent programs for children and adults, fun and caring instructors, well-run facility. Our experience here has been 100% positive and my son loves going to class - even after several months, he never tires of it. There are many fun extracurricular events as well. All the instructors are very wonderful and are able to give one-on-one attention when needed. Mr. Hamilton is excellent with children and often makes them feel welcome and at-ease by making them laugh. We have known Master Hamilton for 25 years now. We’ve observed him grow from a new Martial Arts student to a school owner and Master Instructor of multiple styles/disciplines. Having both benefited from his training, we have a great respect for the expertise he has honed over the years. He is impressive in his ability to guide his students to not only be excellent practitioners of martial arts, but also to be good human beings, through his life skills development programs. We joined The Impact family initially because our son was being bullied. We also thought it might help him focus in school more. We were right. Master Hamilton and his team have trained both our sons to be strong confident martial artists. The school shares our family values and recognizes the needs of the individual and helps everyone grow. I completely recommend Impact! Master Hamilton and his team are awesome teachers, very competent and caring. Great people, great atmosphere, we are really happy that we found Impact Martial Arts. Started at 45 in 2012 .Still going at 52. Great instructors and fun classes for Adults .